Faceplate is 5.25" wide by 4.5" tall. Recession in the rear of the plate is 2.5" at it's longest point. 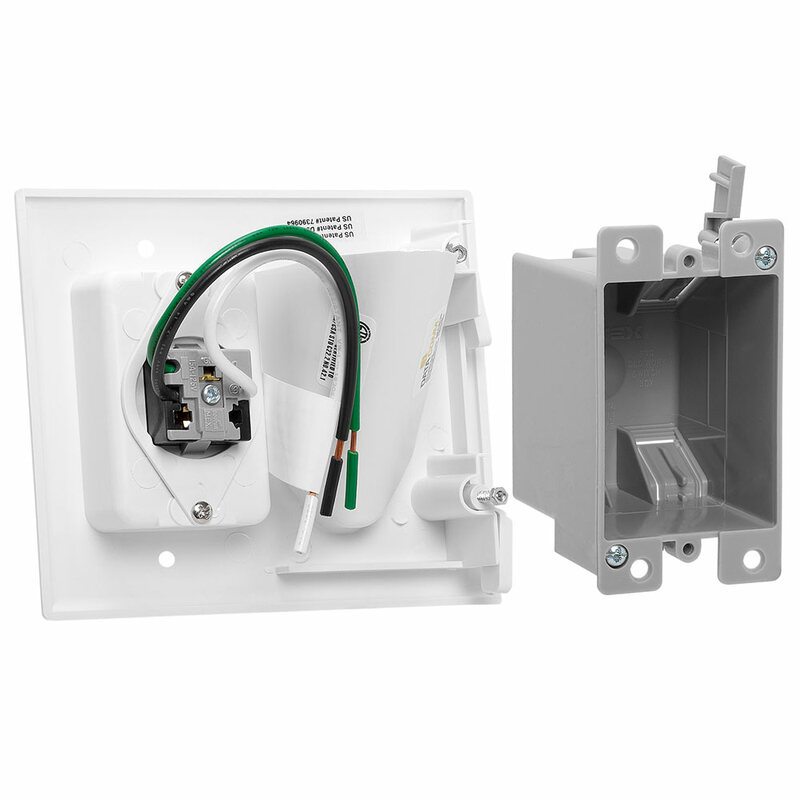 Use Recessed Pro-Power Kit with Straight Blade Inlet to install power and low voltage cables from behind your flat panel TV, your amplifier or other audio and video devices to your equipment room or at the location of your head end equipment. Most local fire codes do not allow high voltage stranded power cables to be run behind a wall. Therefore it is a violation to simply run your equipments included power cords through the wall. Power cables for in-wall application should be solid core specifically designed for that purpose. Having an electrician come out and tap your electrical system to install an additional output behind your wall mounted display can be costly. 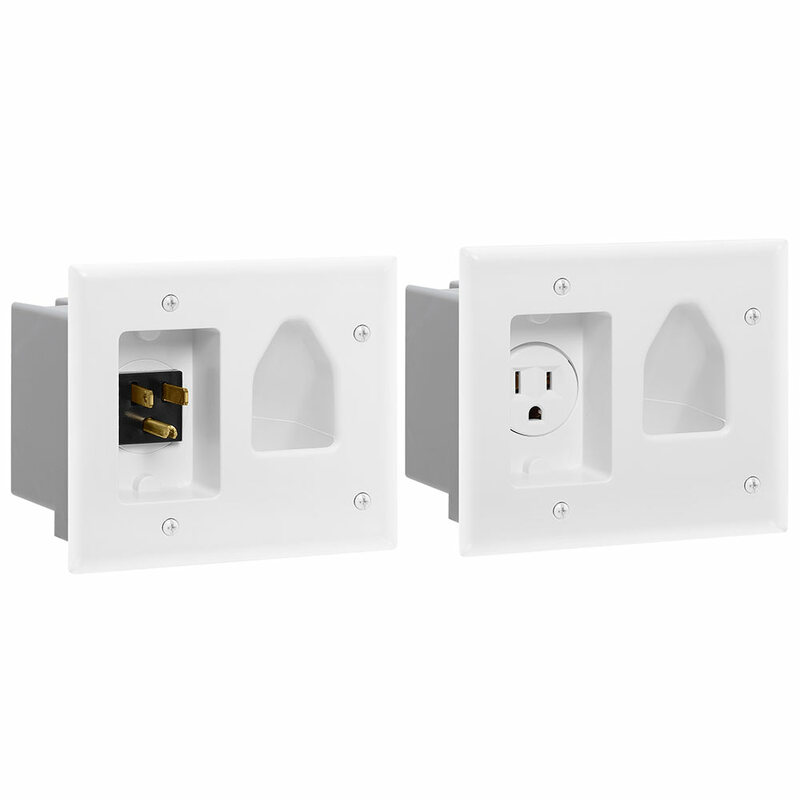 This kit allows you to utilize an existing electrical outlet and bridge the power to your desired location. One plate is installed behind your equipment and the other along side an existing outlet. You connect the two plates together with some solid core power cabling you can find at your local hardware store. 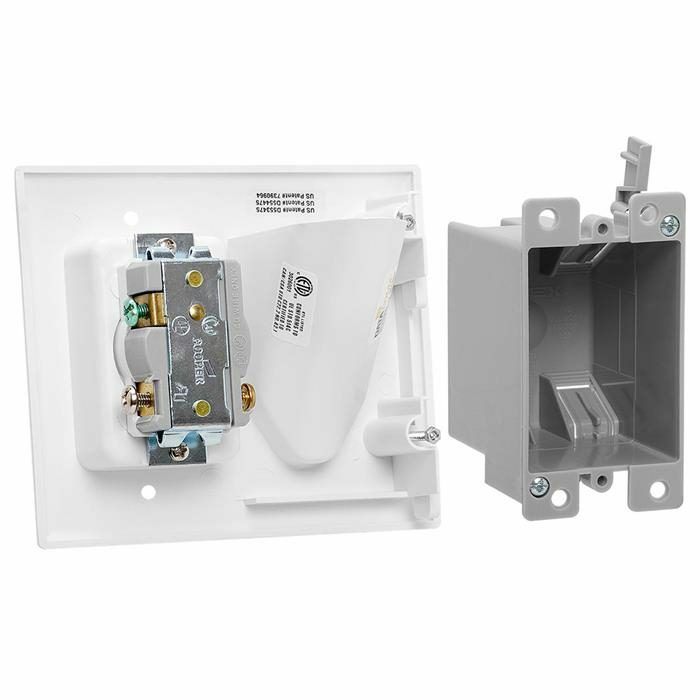 Then you plug your equipment into the extended outlet and use the included patch cable to connect the plate near your pre-existing outlet into the powered outlet. You can even plug in an electrical surge suppressor and/or line conditioner in between the powered outlet and the local input plate to provide cleaner, safer power to your equipment. 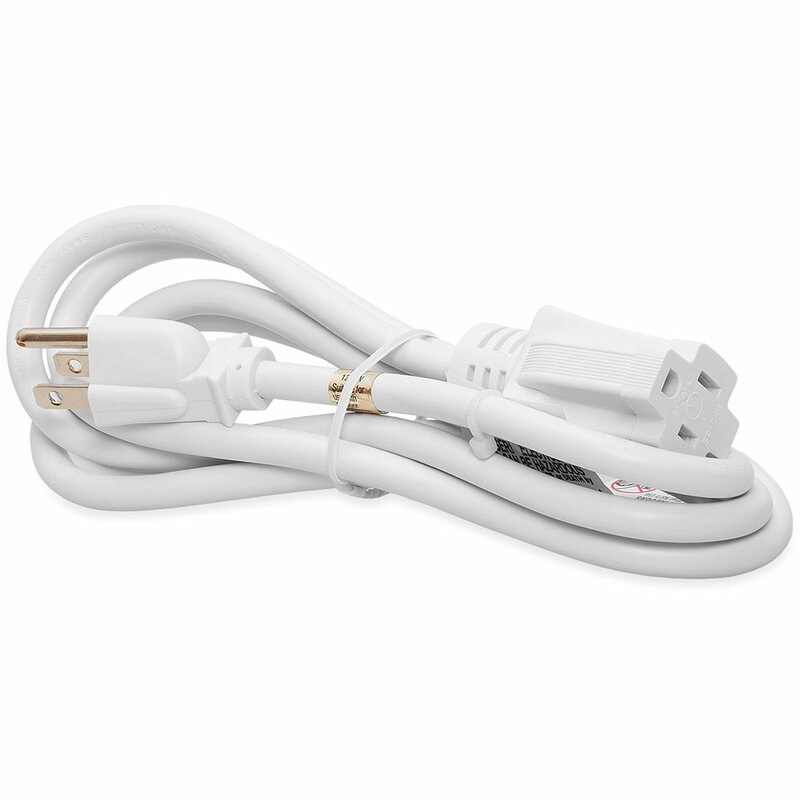 This kit includes Two plate and one 6ft straight power extension cable.